This quintessential English turn of the century lakefront cottage does not lose its original charm playing host to modern amenities. 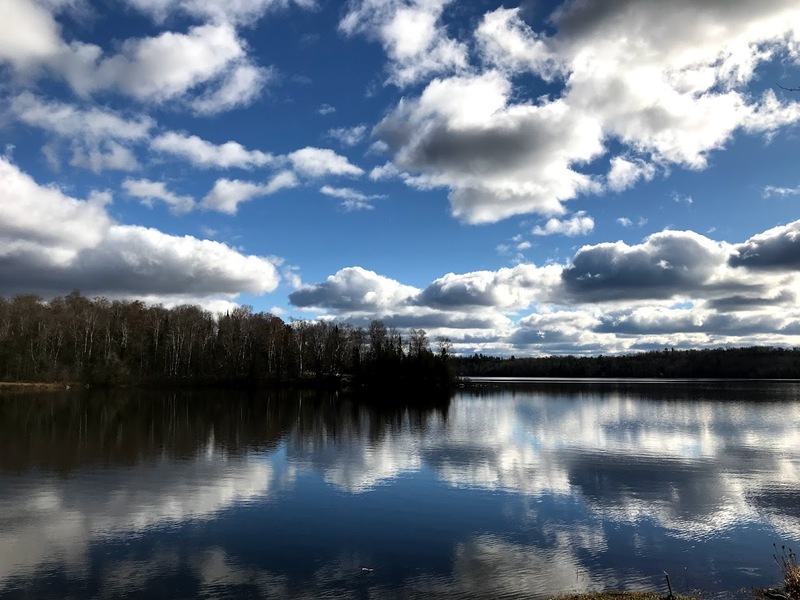 Located on Lake Michigamme, Copper Moose Cottage is an ideal family vacation home. 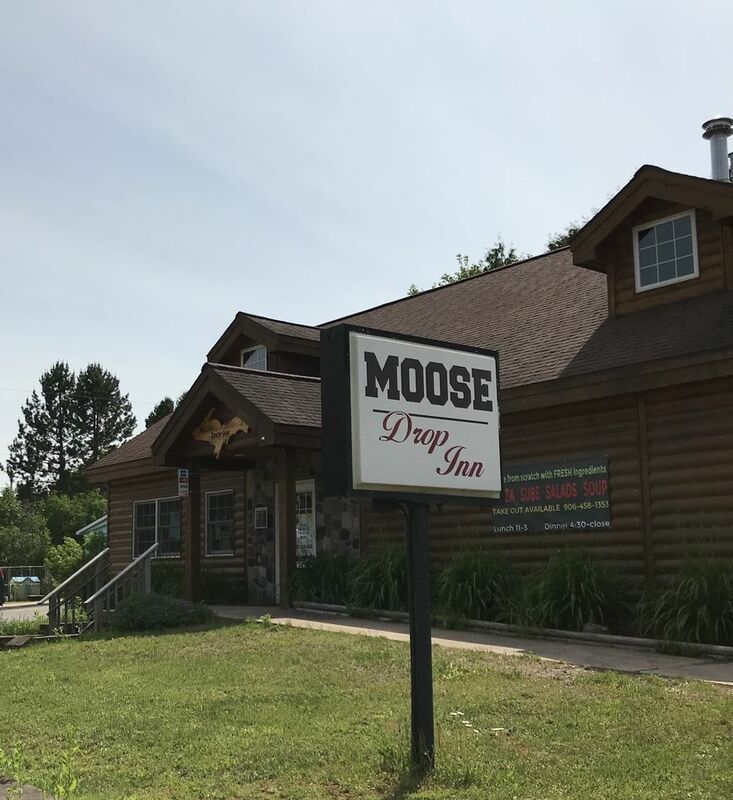 It's just a short convenient walk to the park and playground, Crock and Rocker Boutique, an art gallery, the Moose Drop Inn bar/restaurant, a museum and village library, and many community activities. 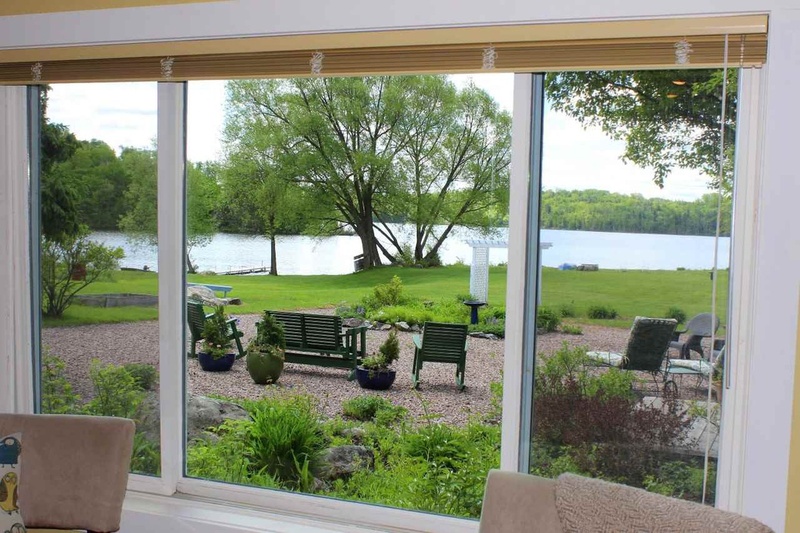 Enjoy the large windows which lend a panoramic view of the amazing lawn, gardens, and lake. 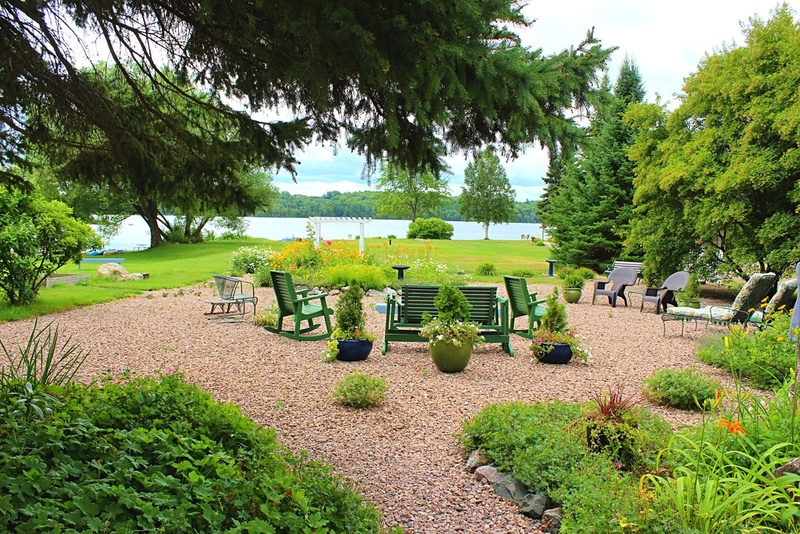 Swim off the dock, fish around Michigamme Bay using the provided kayaks, or play volleyball, corn-hole, or Bocce Ball on the spacious lawn. In the fall you won’t hesitate to cozy-up inside near the propane fireplace on chilly nights. 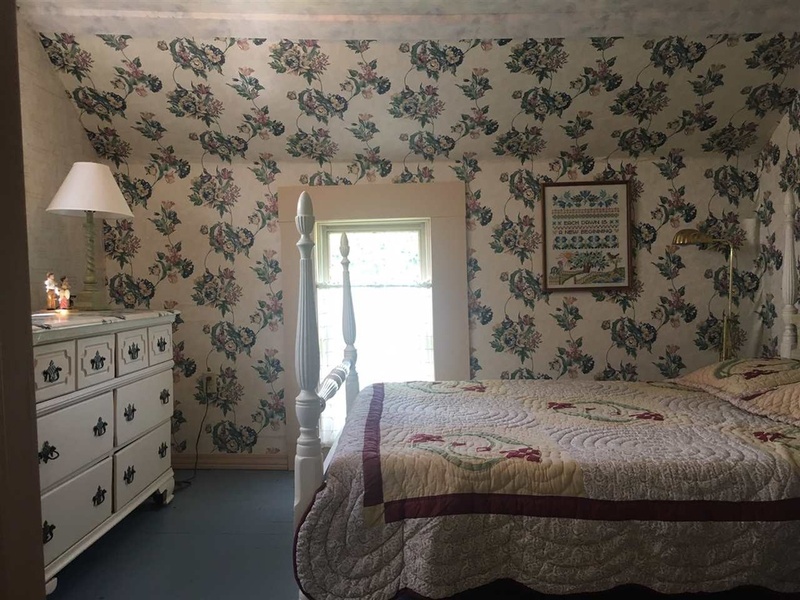 While you can enjoy the modern conveniences like free Wi-Fi, this almost 120 year old home honestly and admittedly does show it's age in ways like slightly slanted floors or crooked doorways. We feel they enhance the character and in no way take anything away from your enjoyment of the home. Think quaint, but comfortably livable. All three bedrooms, laundry room and the half bath can be found on the upper level of the home. 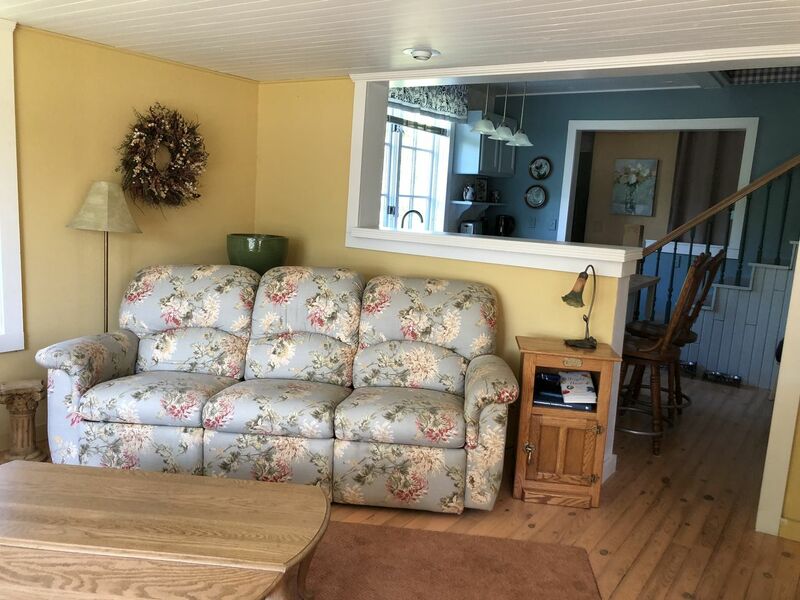 On the main floor, you can gather OR spread out in the fully-equipped kitchen, Lake Room including a seating area, dining area, and fireplace, or family room with television and reading nook. 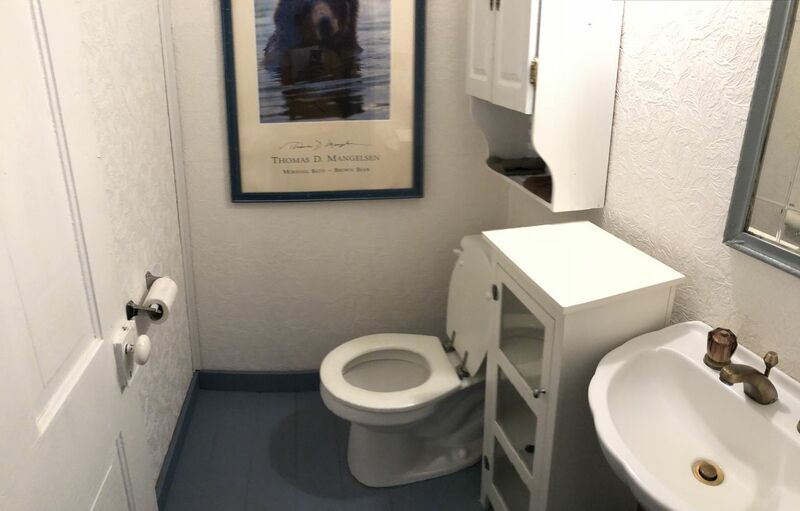 The full bathroom, front den with futon, mud room, and a rec room are also found on the main level. When not enjoying the great outdoors, guests will find the cottage well-stocked with family-friendly board games, books, and DVD's. Just steps out the back door you'll find ample seating and comfortable lounge chairs. Gather around the small metal fire pit to chat or roast marshmallows. Cook meals on the propane grill. 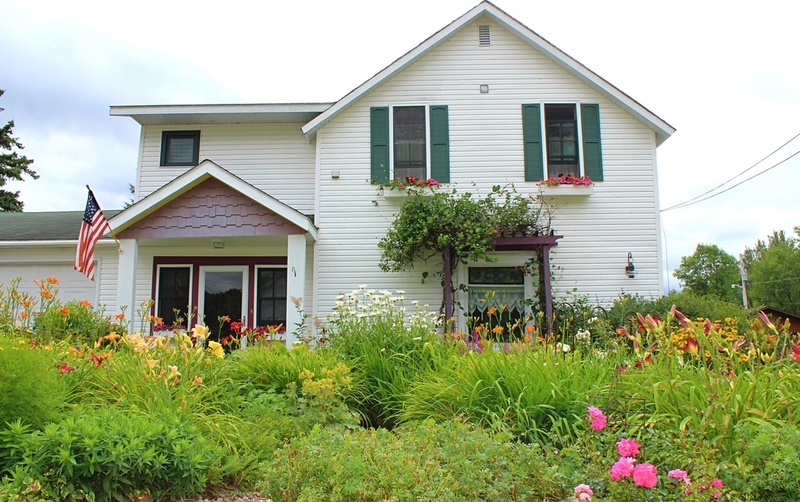 The perennial gardens allow you to enjoy fresh cut flowers during your stay and create a beautiful backdrop to this historic home - it's no surprise that this home once featured a bustling flower shop. 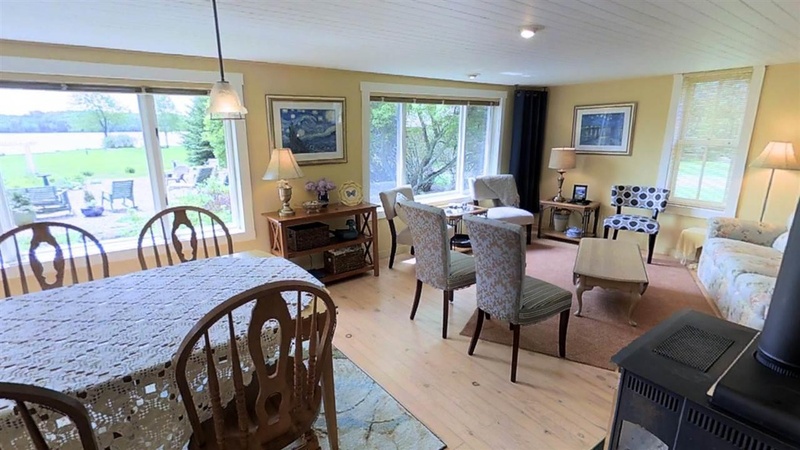 To welcome you to Copper Moose Cottage, your first breakfast is on us. 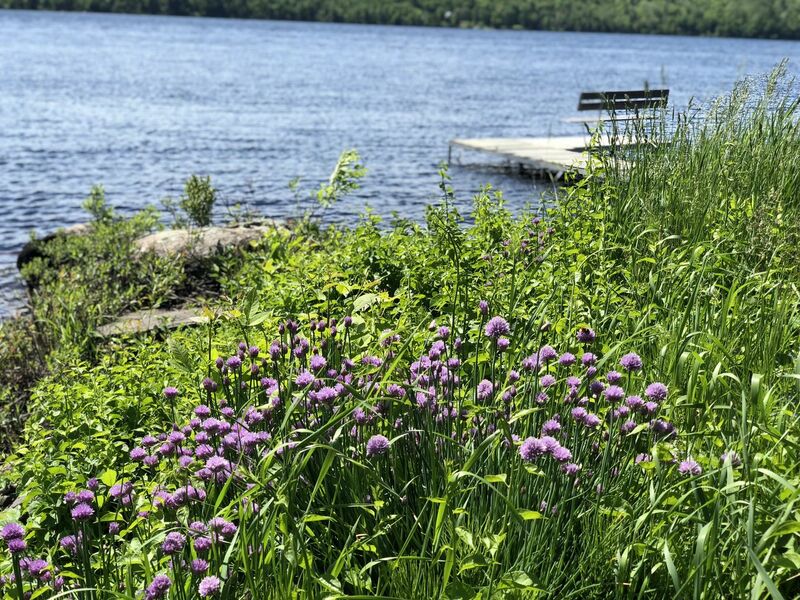 You'll find English Muffins to toast and top with a jar of Thimbleberry Jam from the UP's Keweenaw Peninsula. Note that the owners recently purchased this home and will be continually tweaking it with aesthetic, comfort, and convenience improvements. Air Conditioning: Not here. Open screened windows to catch the great cross-breeze or flip on one of the provided box or oscillating fans. ATV's: Not allowed on property, but you can park your trailer with ATV's on the street overnight. Animals: Squirrels, birds, deer, and the occasional elusive moose. 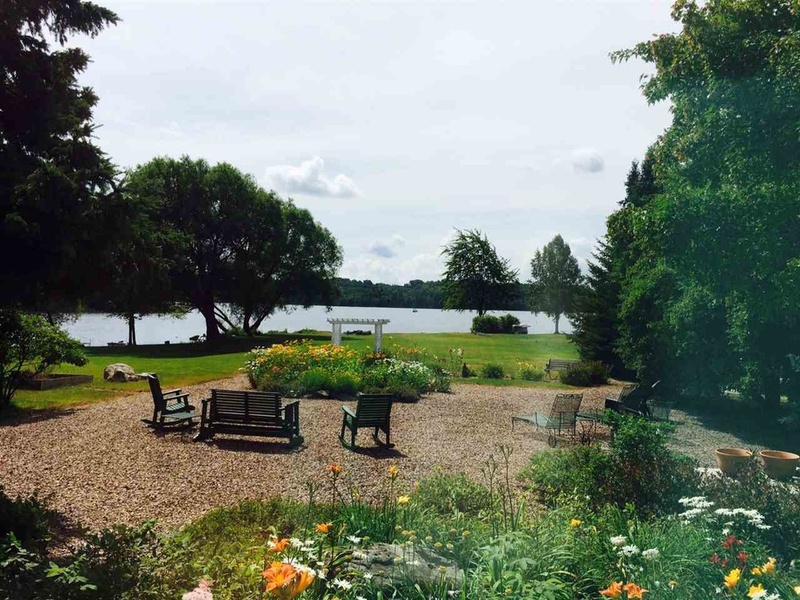 Beach/Swimming: There is swimming right on the property with 100 feet of shoreline (angled). Depending on the water level, there may or may not be a sandy-area before entering the water. There is a comfortable seating area down by the water to watch the kiddies swim and also a bench on the dock! Please supervise children on the waterfront. Boats: 1 adult sit-upon kayak and 1 child sit-upon kayak are available during your stay. Some PFDs are provided as well, Adult L and XL and a couple youth vests. Bugs: As with most UP rentals, flies and mosquitos vary by season and rainfall. Cable/Satellite TVs: One TV with Roku in family room, one TV with Roku in master bedroom, one TV in rec room. Cell phone service: Verizon works well. You can also make phone calls over WiFi using Skype, Facetime, or other WiFi-based services. Coffee: It's almost an hour to the nearest Starbucks, but you can make your own coffee at the cottage in the Keurig or drip coffee maker. A few K-cups will be provided, along with some creamer and ground coffee. A coffee grinder is also available. Need breakfast and a cup of joe? Hang with the locals at the Corner Cafe & Motel down Highway 41 a few miles. Dock: 10 foot L-dock with wood bench. You are able to dock your own small boat right outside the home. The public launch is approximately 7 minutes from the home. There is no fishing allowed from this property for the safety of swimmers. Fire pit: Enjoy lots of comfortable seating options when you gather around the approximately 24" fire bowl located in the rocky garden area directly behind the cottage. The fire bowl has a grate for cooking or you could remove the grate to have a larger fire. It is perfect for sitting around the fire roasting marshmallows. Firewood provided. 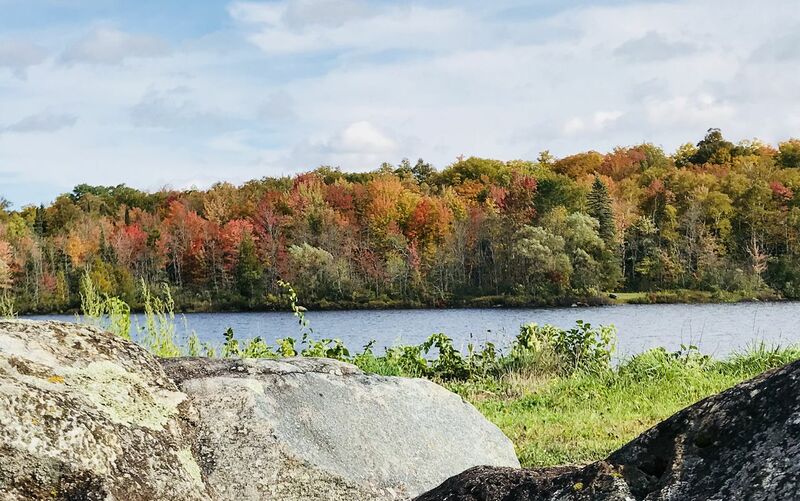 Fishing: Michigamme Bay fishing is best on the lake as opposed to the shoreline. The Van Riper State Park is at the east end of the lake, or jump in a kayak and throw the pole out! Fishing License: You can purchase your fishing license online here. Grill: Small propane grill. Propane is provided. Grocery Store: Convenient Mart and gas station within 5 minutes west on HWY 41. Full grocery stores are available about 30 minutes away in L'Anse to the west or Ishpeming to the east on HWY 41. Internet: YES! Free WiFi for guests! 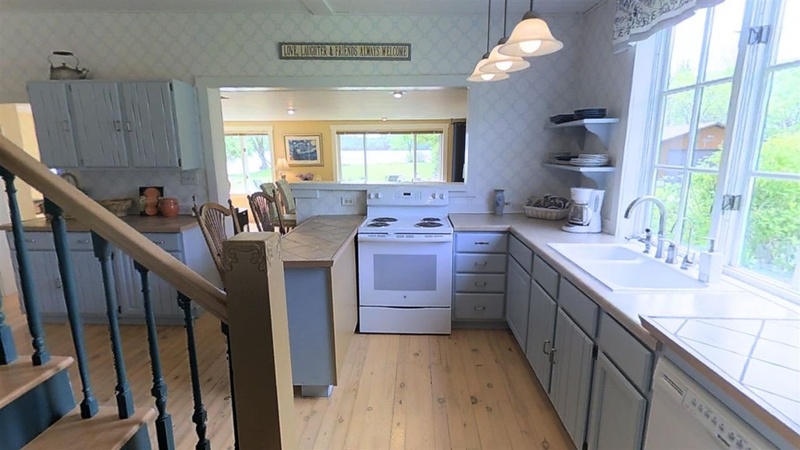 Kitchen Basics: In addition to your Welcome Gift of English Muffins and Thimbleberry Jam, you'll find the kitchen well-stocked with tableware, pots and pans, bake ware, serving dishes, storage containers, and small kitchen appliances. There is a dishwasher and drip dry rack. Linens: Yes, we provide your sheets and linens. Just like a hotel, the beds will be made for you upon arrival. If you are fussy about the thread count of your sheets, just let us know, and we'll make sure we leave a bed open for your sheets. We have just the basic sheets, pillows, pillow cases and bath towels. Extra blankets will be available. 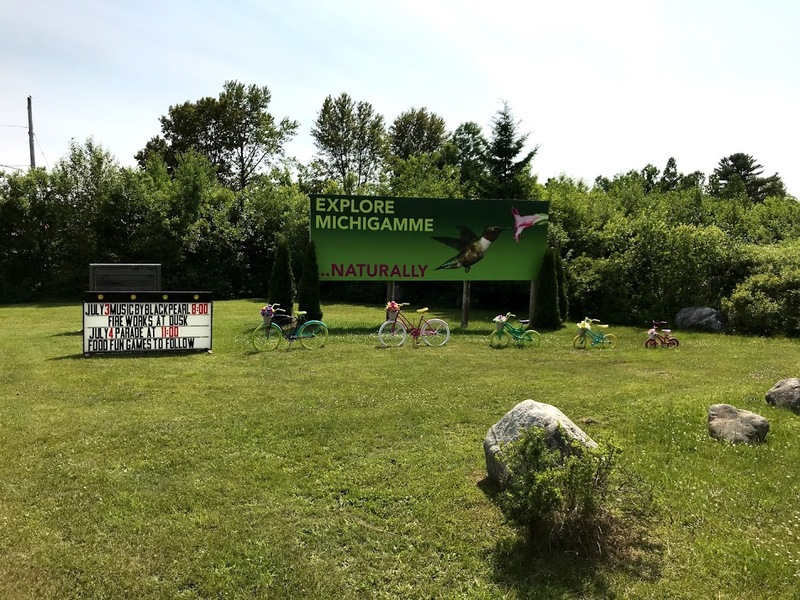 Michigamme Website: This website will give you an idea of what is happening around town during your stay. Michigamme displays their Fireworks at dusk on July 3 right down the street from the cottage. An annual Parade runs down Main Street and is followed by a Picnic in the Park on July 4th. Pets: No pets are allowed on this property. Enjoy the allergen-free space. 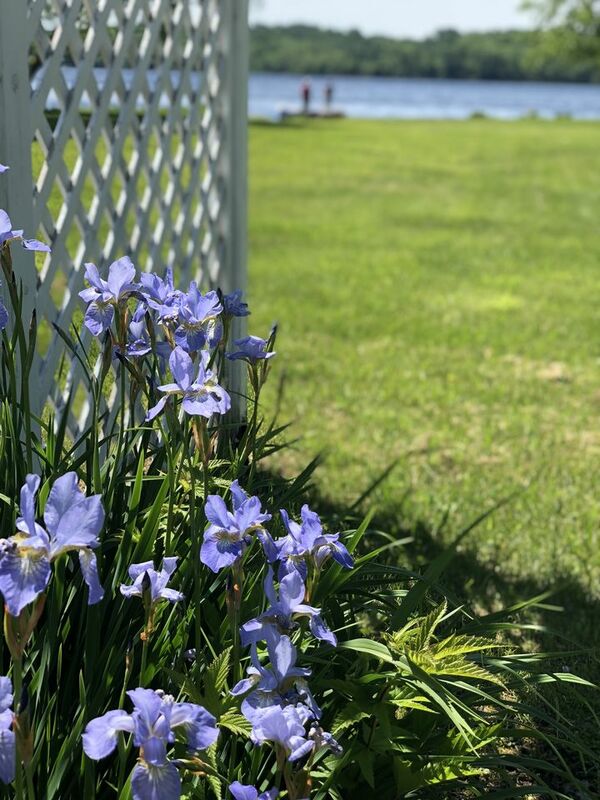 Privacy: Privately owned homes are right next door on both sides; however, landscaping provides significant privacy near the cottage for the seating/fire pit area. Recycling: Place your paper, cardboard, and rinsed out glass, aluminum, and plastic in the recycling bin outside the garage. Snowmobiles: Not allowed to be driven on the property. Space: The lot is long, narrow and deep. 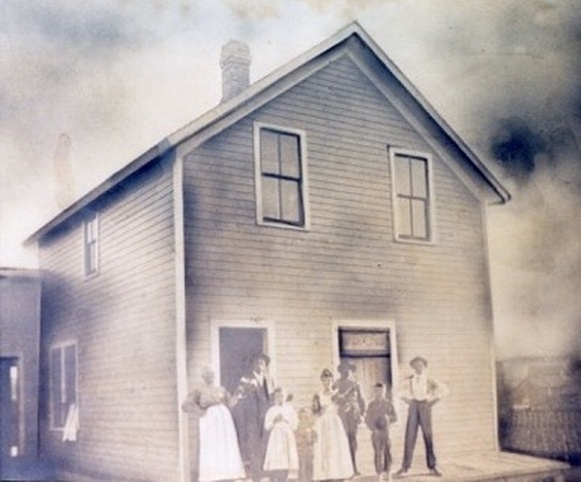 The home itself is 2 stories with the bedrooms on the upper floor and main living space on first floor. There is a day-bed located on the upper level in the hallway and a futon located in the front den on the main floor. Towels: Yes, we provide towels for bathing and beach towels for swimming. 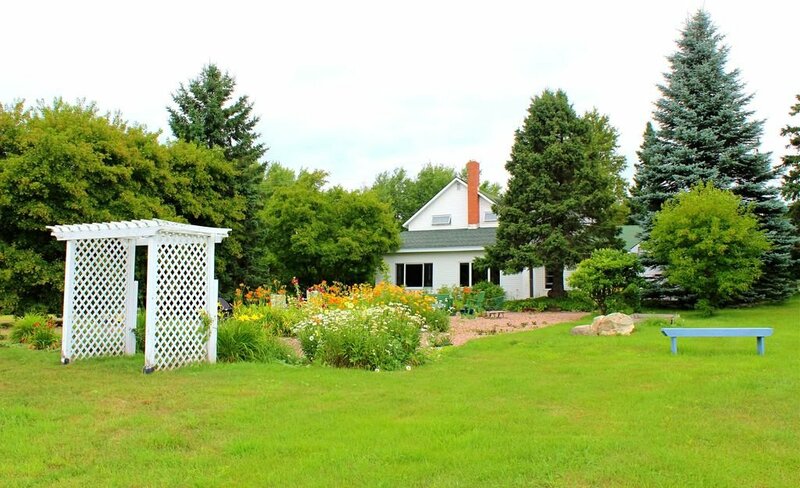 You may also bring extra, or can utilize the cottage's washer and dryer. Trash: Large rolling can provided outside garage. Washer and Dryer: YES! Guests may use the washer and dryer. Laundry soap is provided. Wood: Fire wood is provided (please be mindful while using fuel).